Q. 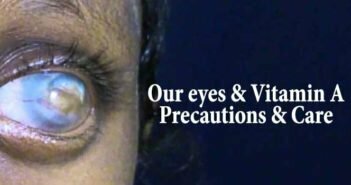 Is there any hope of restoring vision for those unfortunate patients who cannot have or will not benefit from a cornea transplant but have a diseased cornea? A. Yes, they can be fitted with an artificial cornea or Keratoprosthesis, for which you are advised to read the chapter especially devoted to the subject. Q. What are the expenses involved in corneal transplantation? A. These vary considerably depending on the geographical region of the country you get the surgery done. In many places in India, these surgeries are done only in government, municipal or trust hospitals where there is no charge or a minimal cost. In the larger cities, it is done in the private sector as well. Though the eyeball is donated free of cost, most eye banks run extensive tests on the donated tissue as well as test the blood of the donor for AIDS, Hepatitis and other communicable diseases. They also employ highly qualified staff that evaluates the eyeball to decide suitability of its use. All this costs money, which is levied by the eye bank as “ processing charges”. In Mumbai for example, this cost is around Rs.6000/- per patient at the time of writing this edition. This charge is only levied upon patients in the private sector, which forms only 30% of all patients receiving donated corneas in Mumbai. The remaining 70% of corneas are distributed practically free of cost to the municipal and free hospitals of Mumbai. Q. What about surgical fees? A. These also vary from state to state. In states where there is private sector corneal grafting surgeries performed, the professional fees charged by an eye surgeon is usually around what he would charge for modern day cataract surgery. Q. Is this morally justified? 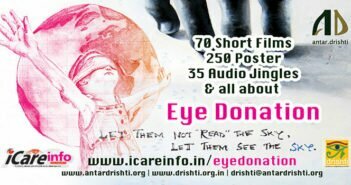 After all he is receiving a donated eyeball free from the deceased donor! A. Morality is a relative issue. No surgeon charges for the eyeball or cornea (eye banks may however charge a processing fee – refer to previous answer). However, surgeons trained in corneal grafting surgery have spent a lot of money to acquire this expertise. 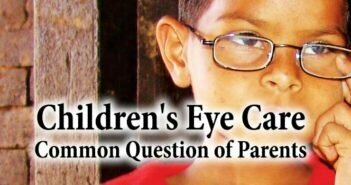 Also, they do need good surgical microscopes, disposable trephines and other costly tools to do good corneal grafting surgery. Most corneal surgeons would like to do only corneal surgery to earn their livelihood. However as tissue availability is low, they end up doing cataract and other surgeries as well to earn their daily bread. Practically no eye surgeon in the private sector survives on the income from corneal transplant surgery alone. Most eye surgeons who do a fair number of transplants use the income from affording patients to subsidise the surgery for those that cannot afford. Q. Can every blind person have his sight restored by an “eye transplant”? A. No, corneal grafting or corneal transplant surgery can only benefit those who are blind due to the cornea becoming opaque. The rest of the tissues of the eye cannot be transplanted. As of today, retinal transplants are being tried on an experimental basis but it will be many years if at all, before this procedure can be done successfully to restore vision to those having diseased retinas. Q. Can a person who has received a corneal transplant himself donate his cornea after death? A. Yes. If the cornea is clear, it can be re-used to give sight to one more corneally blind person. It would be a truly noble gesture!